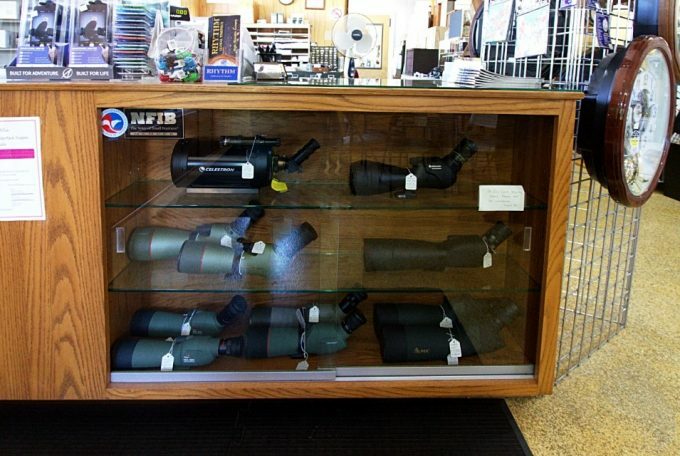 Identifying the best spotting scope in a market filled with so many products can be difficult. So, we have decided to do most of the work for you. We went into the marker this year to look at what products are available and selected the nine that we think are the leaders of their class. We did not just look at the price, we looked at the value that the product can deliver to the user. We picked spotting scopes that have great modern features and reviewed them. If we loved it, we hoped you would love it too, so we included it in this list. Before we do our spotting scopes reviews let’s do first things first. We want to start by looking at what a spotting scope is. We will then discuss how this product works and the kind of environments in which it can be deployed. We believe that as long as you are going to pay your money to get something, you need to know exactly what you are looking for when buying. This is why we have also included a mini buying guide which looks at the features you should look out for before you spend a single cent. 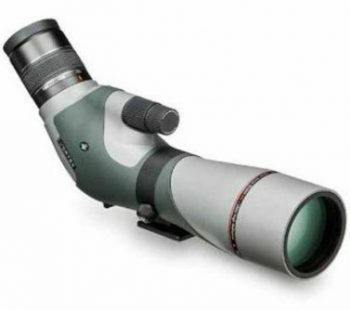 A spotting scope can be defined as a small telescope with high magnifications. This scope is portable and when you look through it, you see an image that is erect. 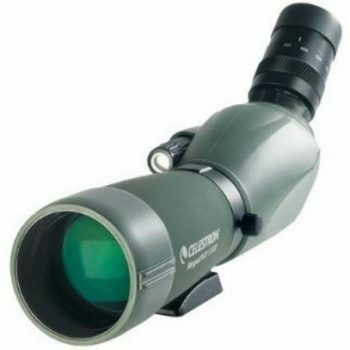 The spotting scope is designed for someone who is looking for something which comes with more magnification than a pair of binoculars. In this regard, we are talking about magnifications of between to 20× to 60×. Sometimes higher. The power of the spotting scope to gather light is determined by the diameter of the objective lens. These are usually in the region of 50 and 80 mm. Those scopes that have larger diameters tend to be bulkier and they cost more. There are basically two types of spotting scopes in the market; prismatic and catadioptric. Prismatic spotting scopes deploy a simple reflector that has a lens on one of its ends and the other part is the eyepiece. The catadioptric uses an amalgamation of mirrors and lenses. Prismatic spotting scopes are different from ordinary scopes. When the eyepiece is placed directly at the back of a standard scope, it delivers an image that looks upside down and it is also backward. The reason why the prismatic scope is equipped with an erecting prism system is so that the image you see is erect and has the proper left to right orientation. On the other side, a catadioptric scope has a built-in prism that allows you to observe things at angles of 45°. Both these types of scopes deliver an image which is erect and with the correct left to right orientation. This allows you to read such things as names of distant places, buildings, and boat names at a distance correctly. The majority of spotting scopes give you the flexibility to change the eyepiece so that you can change the magnifications. Some allow you to adjust the magnification without having to physically change the zoom piece. 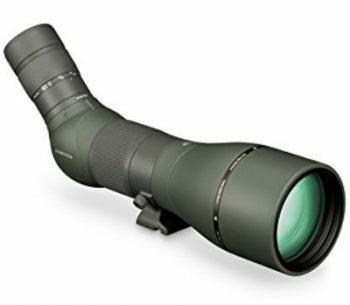 In order for you to be able to use your spotting scope successfully, there are a few things you will need to know such as the magnification, objective lens, eye relief, close focus, lens coating and the image quality. 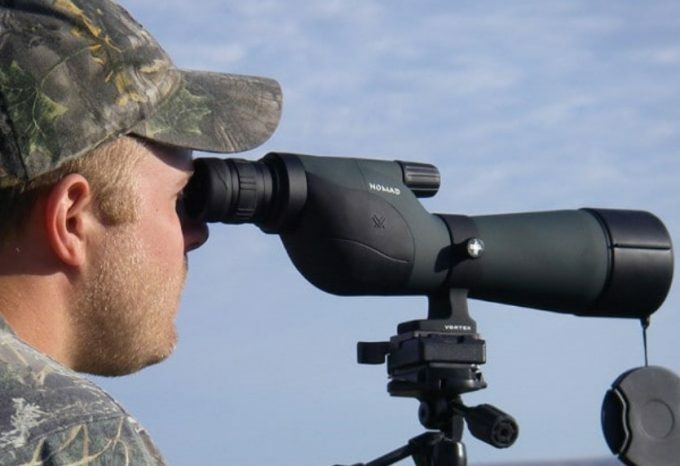 Knowing the right questions to ask when buying, will ensure that you come back with the best spotting scope for the money. We know that everybody understands the importance of price when buying anything. However, we meet a lot of people who think that when something is cheaper, then it is the thing to buy. On the other hand, we meet lots of people who think that expensive means quality. In buying, there can never be a substitute for good research. Learn as much as you can about the product you want to buy so that when you are purchasing, you can ask the right questions. Reviews such as the ones we have here are important. They offer free advice. We always believe that you get what you pay for although we know that there are many products that sell for far less than others with the same value and features. Bigger, more established companies tend to use the economies of scale to sell their products cheaper. Companies that sell less will tend to want to make their money from the few products they sell. Comparing different products is important. Magnification is an important aspect of spotting scopes. The experts will tell you that these scopes start their magnification where the regular binoculars end. This is why these scopes allow you to see stuff that you would otherwise never see with a regular pair of binoculars. Even after this has been said, there are limits that this magnification can go up to. There are basically two things that will determine the magnification you get. The first of these two things is the environment in which you are spotting. On a humid day, dusty day, or during a heat wave, the magnification you can use is limited. Try to go above 30x and you will notice that you cannot see clearly anymore. When you are buying these scopes, be clear about the average state of the environment you are going to be using the scope at. Otherwise, you buy something too expensive with high magnifications and you discover that the environment will not allow you to use the scope to the full potential. Also, when you are buying, remember that you will hardly be able to see anything magnified at more than 60x during the day. Between 60x and 80x is rare even though you will find some scopes with such magnifications. Another crucial thing that has to do with scopes is that no matter what brand of scope you have, it will always have a drop off when it comes to the quality of the image as you keep increasing the magnification. This is a function of the quality of the optical system you are using. This is when the price differences become apparent. The more you pay, the better image quality you will have even when you are increasing the magnification. Related to the concept of magnification is the concept of image quality. The quality of the image you get depends on the price of you spotting scope. If you are looking for something that will constantly give you a quality image, you will want to look for something that comes at a higher price. Premium scopes will give you the best image. In other words, we are saying that if you want the best spotting scopes you have to be prepared to go deeper into your pocket. One of the important features of modern scopes is the lens coating. The coating influences the light transmission. This is important for any instrument that deploys high magnification. Fully coated devices have the best quality and performance. However, this also depends on the quality of the glass used. So, you can have a fully coated scope that is of an inferior quality to one which is not because of the difference in the glass. However, you will soon realize that all premium scopes come multicoated. The objective lens on your scope has a bearing on a detail the spotting scope can deliver. As the objective lens gets larger, the more detail you can expect. If you are comparing two models of the same quality, you will realize that scopes with bigger objectives lens will give you an image with a better quality. One of the things you will keep hearing about when spotting scopes are being discussed is the idea of the eye relief. Eye relief refers to the distance that your eye can be comfortably at in order for you to see the whole field of view. You will need about 14mm of eye relief if you want to see the whole field of view. If you wear glasses this will especially be more important to you as you will need more eye relief. Now that you have a good idea what features go into a top rated scope, let’s zoom in on some of the best models we could find. While any of these could be a grand choice, you’ll want to find the one that best suits your needs and desires. The Celestron 52252 100mm Ultima Scope is the largest aperture scope within the Altima line of products. With an objective lens of 100 mm you can expect to get images that are brighter than you can get with any of the other products in this range. This is also the other reason why this scope is known for providing better images even in low light. 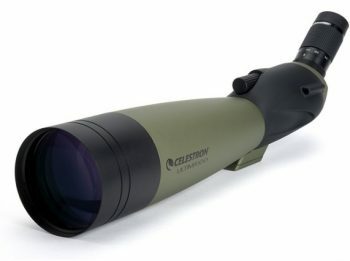 The Celestron 52252 comes with some other features that are standards of good scopes such a multicoated optics that are housed in a body that is not only portable but also lightweight. The eyepiece is designed to zoom between 22 and 66 times. The designers of this model were given a brief that they should come up with a product that will perform well in different environments. 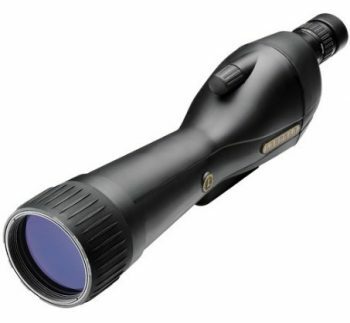 Unlike poor quality scopes, this one will not let you down just because it is too hot or humid outside. It is manufactured to be an all-around instrument. 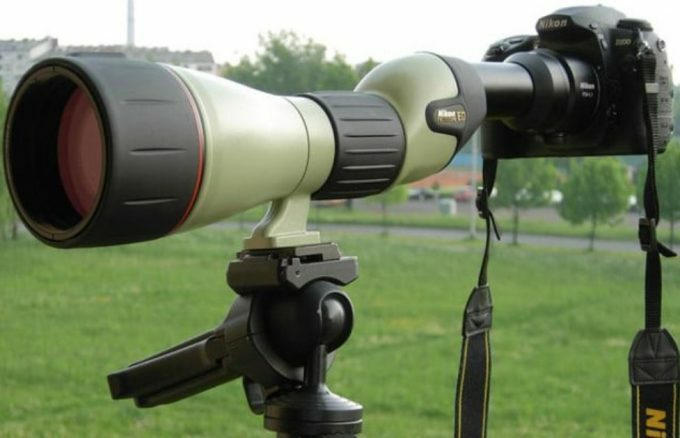 The reason why this is the preferred device in long distance nature spotting is that it is equipped with a green optical tube. We can recommend it because of the fact that it has great features while coming at a reasonable price. The eye relief on this piece is a little small, even for someone who is not putting on glasses. This becomes worse when you are viewing through higher magnifications. Sight tube for quick targeting. Built-In T-Mount Threading for SLR Shooting. Lens cap doesn’t stay fastened. The mount does not allow the barrel to rotate which limits how you set it up for viewing. Related: Celestron Heavy-Duty Altazimuth Tripod is used to mount this spotting scope. It has a flexible slow-motion cable for both altitude and azimuth. 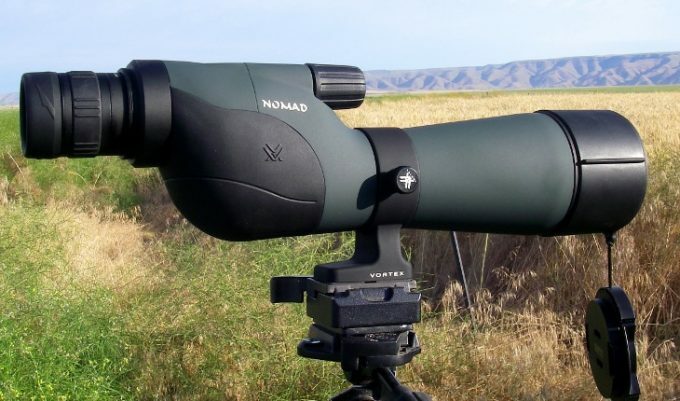 The first thing that we found impressive about the Vanguard Endeavor Angled Spotting Scope is the premium lifetime warranty. This is an indication that the people at Vanguard have faith in their commitment to the development of products which mix a superior design with value and performance. If the product you buy ever breaks down on you, then you can take it back for repair for free and expect to be asked no questions. The one thing that separates good scopes from the bad ones is the glass used to make them. If you buy this one, you can expect to benefit from the Vanguard’s Extra-low Dispersion (ED) glass. When you add the BAK4 roof prisms you will know that chromatic aberrations are reduced so that the scope can deliver images that are not only clear and sharp but also with a high contrast. Another unique feature you will find in this unit is the Vanguard’s MultiGuard coatings. This coating is the reason behind the clarity of the field of view you get when looking through this optical instrument. You get the clear field of view because of the enhanced light transmission. All good manufacturers of optical instruments know the importance of creating products that can withstand the elements. This is what the designers at Vanguard have done in the production of this instrument. It is both waterproof and fog proof. So, you can expect no dust and debris on the inner part of the device. Extra-low Dispersion glass (ED) for accurate color rendition and minimal fringing. Related: Vanguard VS-82 Table Top Tripod is bought along with this scope. It is used for keeping the scope stable during viewing. 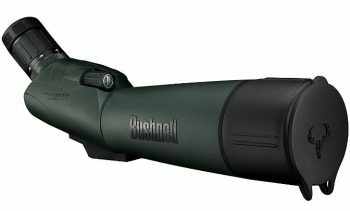 A Bushnell product such as the Bushnell Trophy XLT Spotting Scope comes with the assurance buyers can expect from a product manufactured by a company that has been doing this kind of work for over half a century. The people at this company say that they are guided by an aim to mix quality, affordability, and performance into the same product. The other principle guiding the designers at Bushnell is to create a product that will enhance the enjoyment of outdoor life. As you would expect, the optics used to manufacture the Bushnell Trophy XLT are multicoated. The aim behind this is so that the unit can deliver images that are not only bright but with the highest contrast too. This will enable you to do whatever you do with the least amount of eye strain. Very little light will be lost before it gets to your eye. The Bushnell Trophy XLT comes with a feature that allows you to zoom in and out. When you zoom out you get a wider field of view and when you zoom in you see the target more clearly. You can do all this with the use of a small dial. There have been some complaints about the lousy tripod on this scope but we think that the people who are complaining may be missing one thing. This scope is heavy on the front. This means that when you deploy it one of the legs must face the direction of the scope, otherwise it will trip over. Fully multicoated optics deliver ultra-bright, crystal-clear images. Rugged, rubber-armored housing is 100-percent waterproof. The field of view and clarity goes down with the increase of power. Related: You can purchase the Bushnell Advanced Tripod if the attached tripod doesn’t fit your requirement. It is almost impossible to put together a list of the best spotting scopes in the market and not include one or two products from Leupold. 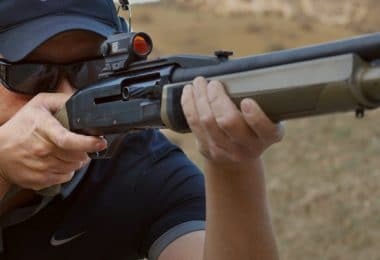 When you look at the Leupold SX-1 Ventana for the first time, it is easy to see what the intention behind the design was; to bring together practicality and beauty in the same product. One other thing we have come to notice about Leupold products is that even though they are packed with great features, they still come at affordable prices. The Leupold SX-1 makes the spotting experience more comfortable due to the fact that it gives you more choices when it comes to the eyepiece. The product also has a big choice when it comes to magnification; starting at 20x and ending at 60x. The unit comes with a lifetime warranty. We always view a good warranty as an indication by the manufacturer of their confidence in a product. For you, this gives you confidence that if something goes wrong they will get it repaired or replaced. Armor coated, rugged and waterproof. Power adjustment is not fully functional. Related: To add function to your spotting scope why not add a phone adapter like the Cell Phone Adapter Mount. This will allow you to take pictures through your spotting scope. If you are looking for a range scope to spot images between 100 and 200 yards, you can turn to the Redfield Rampage 20-60x60mm Spotting Scope. The scope is well made and spots some of the features you will find in the big names such as a BAK4 prism system. This is the reason behind the great clarity that you can rely on when using this unit. Another feature of this scope that we are also seeing in other great products is the waterproof and fog proof design. This ensures that you always get a clear image no matter what the conditions outside are like. The carry case that the unit comes in gives you convenience when you are carrying the scope. You also get a tripod table. There are covers for the eye pieces so that you can protect the glass. As you increase the magnification on this scope, you will start to realize that things start getting a bit blurry. This is especially the case when you are trying to view at the highest magnification; 60x. However, anything between 15 and 45x, the spotting scope delivers the clarity you can expect at this price. It gets blurry above 150 yards. Once you try to power the zoom you will find that it is very difficult to get the right eye relief. Related: There’s a useful Alpen Car Window Mounting Device. It has a quick attachment mechanism for the top edge of the car’s window glass. 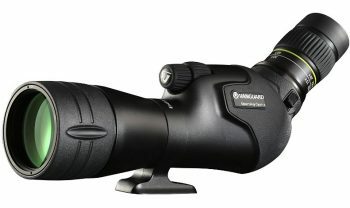 It uses the standard mount to fit on to all scopes and binoculars. The Celestron 52304 Regal M2 Scope is Regal’s next generation of the well-received Regal F-ED spotting scopes. 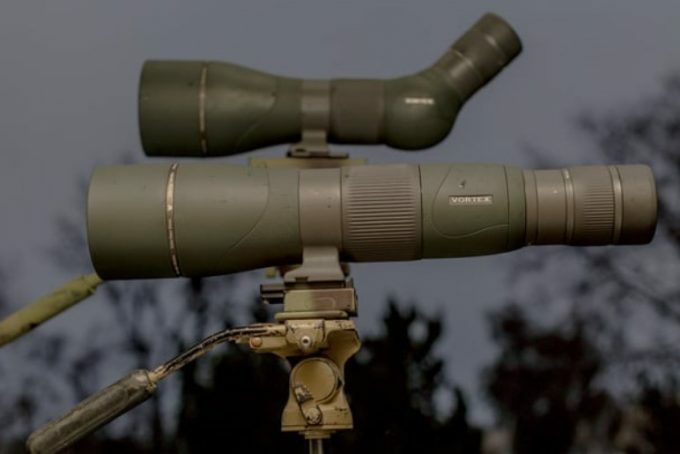 The designers of this scope wanted to create a unit that you can use whether you want to go spotting during the day or at night. 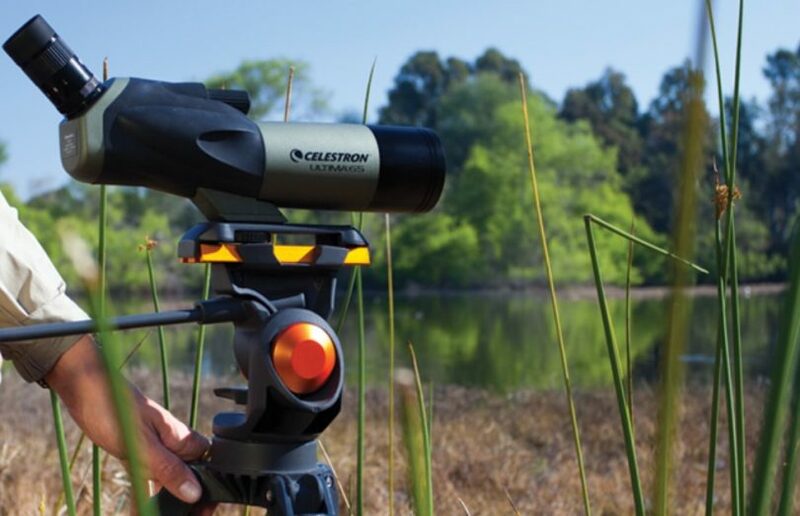 The impressive thing about the Celestron 52304 is that it comes at an affordable price but it has the features that you would find in products that cost more. Some of these features include Extra Low Dispersion (ED) glass. 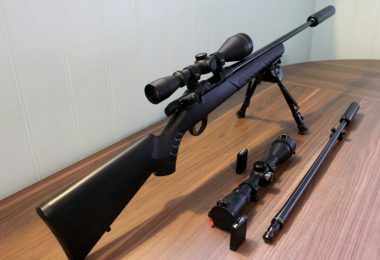 The magnesium alloy body is the reason why these scopes are lightweight. The designers claim that when compared to the previous model, this unit comes 14% less heavy. The upgraded double focus mechanism allows you to bring the target into focus much faster. The tripod mount will allow you to rotate the scope easily. This mount is also great because it comes with four holes. The four holes ensure a good balance. The eyepiece also mounts easily. You just need to loosen the ring that locks it in a certain position. Like other good scopes, the glass on this unit is good. You can expect no chromatic aberration distortion. This ensures that the image you get is crisp and clear. Even in dark conditions, the scope collects color well. XLT Coatings (Fully Multi-Coated Optics). Rotating tripod mount with detents. 6-48x Zoom Eyepiece and Standard 1.25″ Eyepiece. The optics are not very clear above 100 yards. The scope needs constant adjustment. Related Items: For those for zoom eyepiece, the manufacturer gives you the option to interchange and perhaps consider the Celestron 82003 Zoom Eyepiece for Regal M2 (Black). When you remove it, you have the option of attaching the DSLR camera to the spotting scope. This is a versatile piece with twist-up eyecup for a comfortable view. 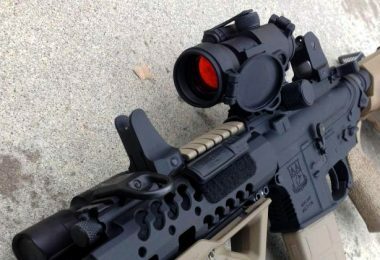 The Vortex Optics Razor Angled Scope is certainly not one of the cheapest products you will find on the market, but it is not the most expensive either. The manufacturers of the product call it one the finest in its class. If you look at its price you will understand why this product competes at the highest level when it comes to performance. For a scope that comes at this price, we are not surprised that the unit comes with a refined triplet apochromatic lens system. This is what allows the unit to deliver high definition views within the whole field of view. The image delivered by this unit does not have that color fringing or degradation of resolution you get when using some of the cheaper units available in the market. Another problem you can kiss goodbye when you buy this unit is the dilution of color when the viewing distances become longer and you need to deploy higher magnifications. APO System: Triplet Apochromatic lens combines with HD glass to provide unmatched color sharpness. The screws are most of the times loose. The tripod has durability problems as it easily breaks. 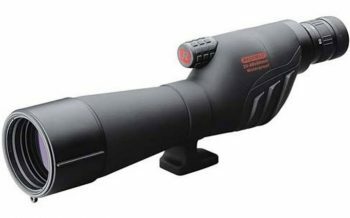 Related: You can cover this scope with Vortex Razor HD Fitted Case for 65 mm Angled Spotting Scope. 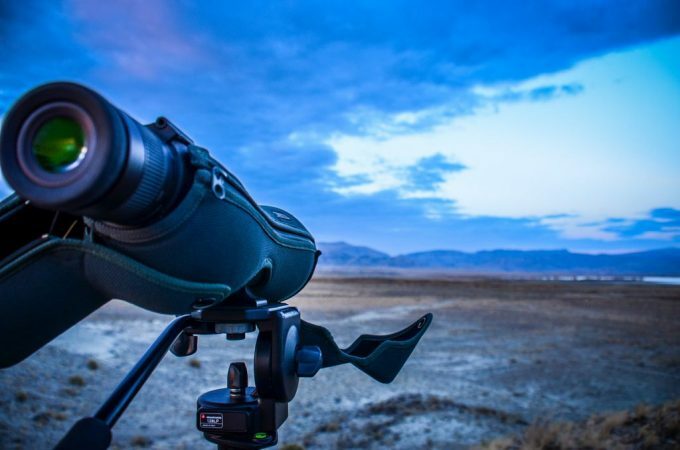 If what you are after is a premium product in the spotting scope market and you have the money to get what you want, the Vortex 27-60×85 Razor Spotting Scope is your scope. The first thing that impressed us when we looked at this scope is the fine glass used for the optics. A scope is as good as the glass that is used in its manufacture. Even though salespeople will want to punt the multi-coating, we always look at the glass. The extra-low dispersion glass on this product is the reason why it continues to deliver a clear image even at high magnifications. The color of the image supplied by this spotting scope is always sharp, is due to the Dielectric prism coatings. 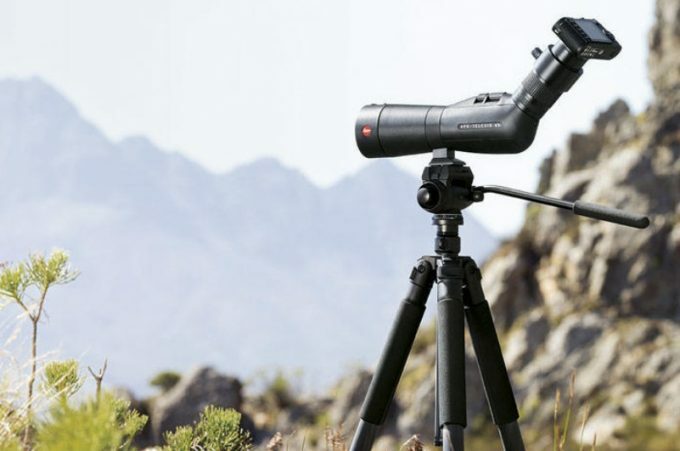 The unit is designed to deliver exactly what you are looking for when you use a spotting scope; clarity. The reason for the maximum brightness you get even during periods of low light is the XR anti-reflective coatings which are exclusive to Vortex products. Other features of this product which show that it belongs in the premium class include the Triplet Apochromatic lens which has been included in order to reduce chromatic aberration. The reason behind the high quality of the image is the Porro Prism. The designers of this product understand that moisture, dust and other debris are your spotting scopes biggest enemies. This is why they have sealed the optics with O-rings. This ensures the product is both water and fog proof. Internal fogging is prevented by the presence of argon gas. Premium (High Density) extra-low dispersion glass delivers the ultimate in resolution. Dielectric prism coatings provide the clearest, brightest most color-accurate images. Triplet apochromatic lens reduces chormatic aberration. O-ring sealed optics prevent moisture, dust, and debris – results in waterproof performance. The eyepiece comes loose easily. The focus is not very clear. Related: This vortex scope can be mounted on Vortex Optics Pro GT Tripod Kit. It has padded leg wraps that provide added carry comfort and handling. We hope that by now you understand that getting the right spotting scope is not necessarily rocket science. Even with this being said, we need to emphasize that giving yourself sufficient time to look at different products will give you a chance to select the best one for your needs. Looking around gives you a chance to take advantage of any discounts available. Ask about the warranties which come with the product you want to buy. This will be helpful in the event you meet problems in the future. Otherwise, when you have done all your homework properly, all you need to do is to look ahead into the distant future with confidence. And when you have done all of that, let us know which option you went with in the comments below. Nick is passionate about weapons. He likes history of companies like Colt or Lockheed Martin, but also latest scopes, binoculars and laser sighters on the market and everything in between. 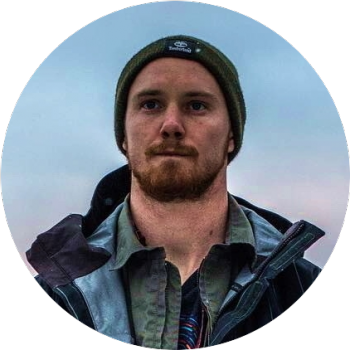 Nick writes about different gear that could be useful during hunting, astrophotography, night vision or just for self-defence.